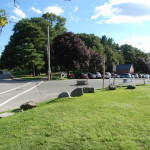 Horn Pond - Woburn & Winchester, MA - Take a day trip! 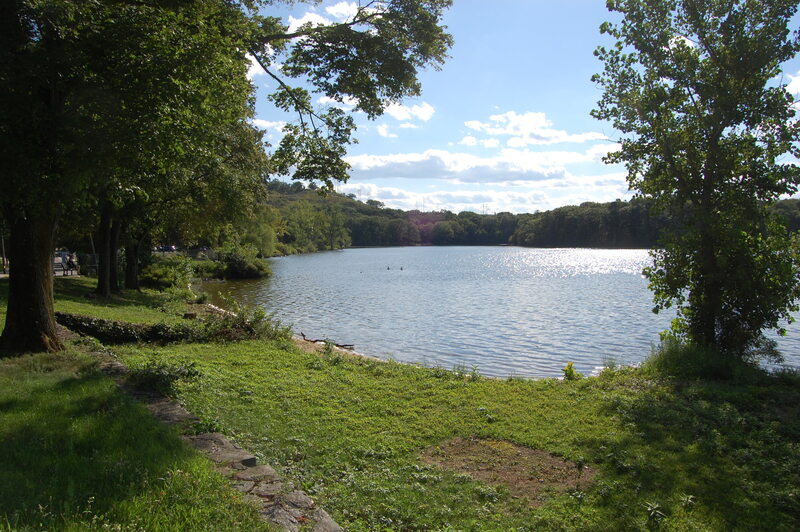 Horn Pond is a lovely pond with a park surrounding it in Woburn on the Winchester town line. It features several walking trails including a loop around the pond with lots of benches along the trails. There is also a public boat launch available (no motorized boats) and fishing is permitted. Dogs are also allowed as long as they are leashed. See if you can find all of the granite markers with all of the names of planets in our solar system on them placed in rough proportion to their distance from the sun! Horn Pond Parking on Lake St.
located on Lake St. on the southern end of the pond. 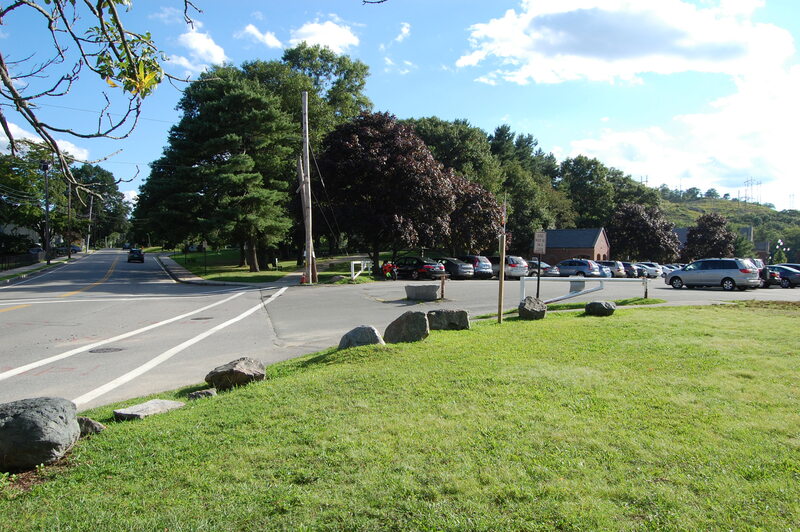 The public boat launch is located on the northern end of Horn Pond roughly at the intersection of Beacon St and Sturgis St. Make sure to keep you pet leashed, there is a stiff fine for not doing so and also make sure to bring bags to clean up after your dog! Horn Pond boasts lots of benches and the trails are graded and graveled and should be accessible for most people with mobility issues. This lot is at the intersection of Sturgis and Beacon Streets in Woburn.